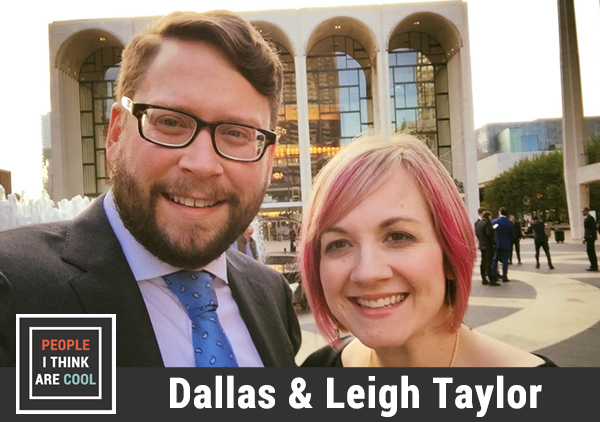 Meet Dallas & Leigh Taylor. They are the husband and wife team behind the award winning sound studio Defacto Sound. They've worked with tons of cool names including Netflix, Discovery, and Bethesda. Dallas and Leigh also created one of my all time favorite podcasts Twenty Thousand Hertz. Their podcast explores the stories behind the world’s most recognizable and interesting sounds. This interview is a two-parter. Part 1 focuses on starting your own creative business and the joys and stresses around taking that leap. You can follow Dallas on Twitter @d_llas & Leigh @perfythegreat.